It pays to be Will Smith... literally! The Suicide Squad actor, 48, opened up on Jimmy Kimmel Live! on Monday night about a funny fan experience he'd recently had. Smith recalled an incident when he was driving only to discover he was out of gas, 30 minutes from home, and without his wallet. "I looked over on the other side and I saw a dude. He was, like, 36, and I was like, 'That dude is a Fresh Prince fan.' You can spot 'em!" Smith said, laughing. "So I kinda rolled the window down and after a couple of minutes, he was like, 'Will?'" Relieved the fan had spotted him, the Oscar-nominated actor used the incident to his advantage. "He said, 'Hey, man, can I get a picture?' I said, 'Yeah man, I need about $10,'" Smith said. And when he tried to get the guy's information to repay him, he wouldn't have it. And though Smith's popularity helped him out of that tight spot, his new facial hair is not doing him any favors at home. 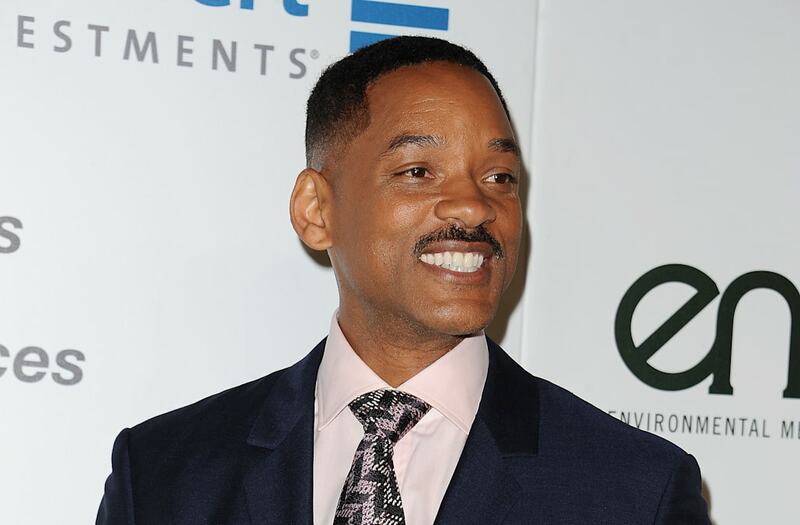 The Fresh Prince star admitted that his wife, Jada Pinkett Smith, is not a fan of his new mustache, which he is growing out for a project. "She was like, 'Hey man, I'll catch you on the next movie,'" he joked. For more from Smith, watch the clip below!